Berg-Hughes Center receives funding to develop research and analysis for unconventional drilling. The Office of the Provost has granted $200,000 a year from the Heep Endowment for a two-year grant to the Berg-Hughes Center for Petroleum and Sedimentary Systems. The funds will be used to initiate a complex integrated project to address fundamental geoscience, engineering and other research in unconventional oil and gas resources. Funds will initially be used for faculty and student support in the colleges of Geosciences and Engineering to process and analyze modern geophysical, drill-well core and log data being collected in Brazos Country and surrounding areas, including the Texas A&M campus, according to Berg-Hughes Director Carlos Dengo ’78 and ’82. Dengo is also executive professor of geology and geophysics and the Dudley J. Hughes Endowed Chair in Geophysics. “Discussions are already under way with Seitel and Apache Corporation,” Dengo says. 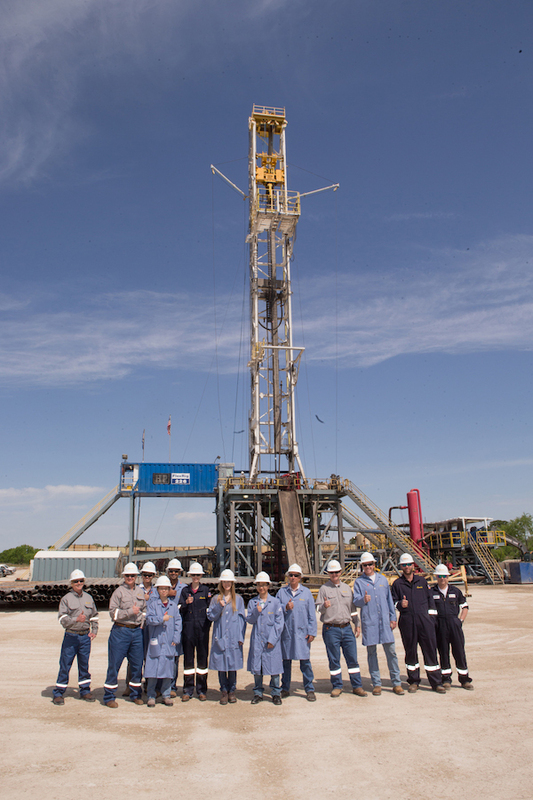 Seitel is the company collecting seismic data in Brazos County and on the Texas A&M campus, and Apache is one of the largest developers of the Eagle Ford shale formation with wells already drilled near College Station. In addition to the geology and geophysics, oceanography and the Crisman Institute in petroleum engineering, Dengo foresees future collaboration with other Texas A&M entities, including the International Ocean Discovery Program, the Energy Institute, Mays Business School and the Bush School. “Feedback from industry points to the need for more fully integrated and creative solutions to focus on fundamental questions facing the life cycle of exploration, development and production of unconventional resources,” says Dengo, who was previously an executive for ExxonMobil, and most recently its vice president for upstream research. Dengo points out that unconventional oil and gas shale resources are transforming the global energy outlook with the largest impact being in the United States, and specifically in Texas. The Eagle Ford play is the single most significant economic development to date in Texas having already generated a $60-billion impact on the local south Texas economy, with more than 116,000 jobs created and an investment that ranks it as the largest oil and gas development in the world. Note: The Heep Foundation, founded by Minnie Belle and Herman F. Heep ’20, has provided more than $20 million to benefit Texas A&M. Geology and geophysics students visited a drill site operated by Apache Corp. The site, just a few miles from Bryan-College Station, represents one of many opportunities that funds from the Heep Foundation will address in educating students in unconventional oil and gas recovery.